The Bullis School Music Private Lesson Program is an integral part of music education at Bullis School. Private lessons at Bullis School are offered for the purpose of giving each student the opportunity of participation in the Bullis School music ensembles. By offering this program, it is our hope that each student will be encouraged not only to develop individual skill and technique on his or her instrument, but to be a responsible and contributing member of his or her respective music ensemble. 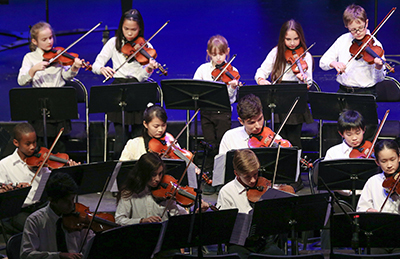 It is the belief of the Bullis School that student involvement in the Music Private Lesson Program and in its music ensembles is of great benefit to a student’s growth and development both within the arts and beyond. For information, please contact Lerna May-Frandsen.